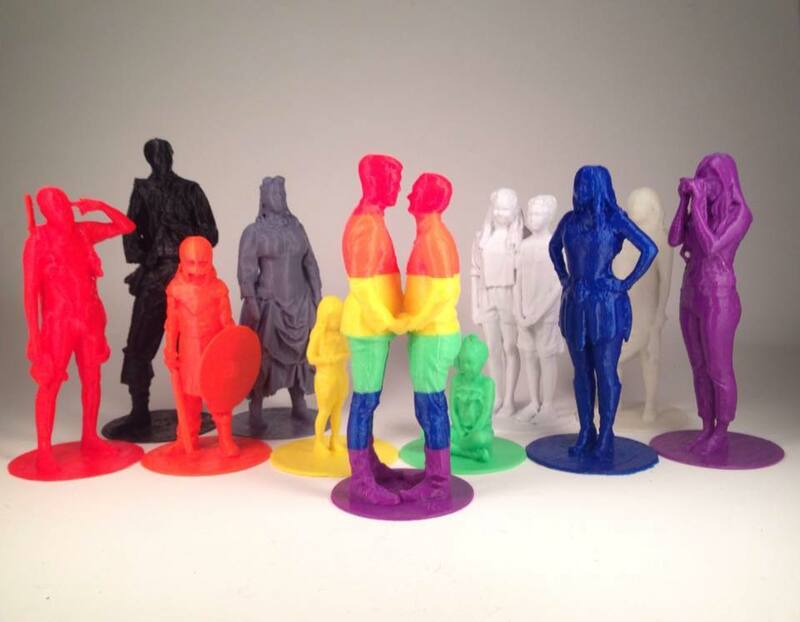 Size: The figurines are 3D printed at 1:10 scale. That means a 5 foot (60 inch) tall person becomes a .5 foot (6 inch) tall figurine. The models are printed attached to a round base, 3 inches wide (it’s a 30 inch platform). You can request to have this removed, but it is recommended for stability. More and different options may be available in the future. Digital File: You may request a copy of the “print-ready” 3D model with any order of a 3D print. You may order just a digital copy of the file on its own, but this may not be ready to print. The only way to guarantee a print’s success is to actually print it. Timeline: Orders take 1-4 weeks, depending the current volume.